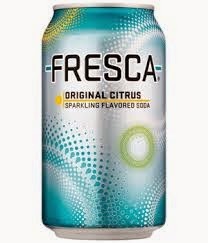 Fresca is my favorite soda. I love Fresca, and drink a can every day, more or less. I never get tired of Fresca. When the supply gets low my wife stocks up on more Fresca, lining up 12-packs so I never run out. Fresca has no calories, yet tastes wonderful, grapefruity, yet something more complex ("Surprisingly complex," according to the tag line). Squint your eyes and it tastes like a gin and tonic, almost—its parent company, Coca Cola, doesn't push that aspect though. I've been eagerly drinking Fresca for almost eight years, a date I know with precision because I can trace when I had my first sip of Fresca, at least the one that set off my current fling with the brand. It was 2006. The family was visiting Niagara Falls* when we came out of a gift shop and wandered over to a table set with cups of Fresca. I accepted a small plastic cup of the stuff. If I were telling my story in front of a Salvation Army band on a streetcorner, it would be how that one taste opened up the gates of hell, the downward slide into Fresca addiction, as my life collapsed into a Fresca-fueled disaster after another. But Fresca has no side effects, as far as I can tell. It doesn't have calories. It doesn't leave an aftertaste. It's just good and refreshing, and if all those artificial ingredients cause something bad, well, given how much of it I drink, it would have happened already. My jaw hasn't fallen off yet. I say this to give some long overdue credit to a generally ignored area of marketing: the free sample. While the Mad Men advertising creative types get all the credit for their stupid cartoon characters and annoying jingles, which are celebrated forever as cultural touchstones, often there is no better way to get the message about a product across to consumers than by pressing that product into the hands of the would-be customer. Fresca was introduced in 1966, and I don't know how many Fresca ads and Fresca commercials I shrugged off and ignored before that fateful day in Canada. You can turn the page in a magazine, look away from a screen. Harder when somebody hands you something. Drinking the stuff worked. Some companies have samples built into their business plan. Costco has an army of employees ladling out the samples on weekends. And as much as the boys used to clamor to go, the experience was only in the freebie gobbling. I'm sure the theory was to draw customers to the products, but for us, it merely drew us to the store. Nobody ever wanted to buy packages of coconut shrimp. Just the idea was sort of nauseating. One was plenty. So giving away samples is a trust drop into the arms of your product, a statement of faith that, having tasted it, people will pay for more. The key is to give away stuff that people will still want, even when it's no longer free. A few weeks back, my older son Ross and I were handed miniature Larabars as we headed out of Union Station and into work. A soft mash of unprocessed dates and fruit. I thought the Larabar was okay. But Ross just loved it. Suddenly, cases of Larabars were showing up in the pantry at home. It's like a candy bar whose parents were Whole Foods and Gerber, with the calories of a Snickers but pretensions toward healthfulness. A Milky Way for Millennials. On Monday, the Larabar teams were back. On the North side of Madison, a bald young man pressed three into my hand. "Thanks!" I said brightly. "My son loves this stuff." Then across the street there was a lone woman, also handing them out. I tucked the trio into my briefcase and vectored over for more. "Thanks," I said, again. "My son loves this stuff." That must have touched a maternal nerve. "Here," she said, pushing another handful at me. "Take more." Down into Union Station, I rendezvoused with my boy—well, went over to where I saw he was sitting. "Rendezvous" implies he gave a damn whether I showed up or not. He was reading The Economist. I sat silently down beside him. "Did you get any Larabars?" he asked, his way of hello. "A fistful," I said. "About 20." "Why so many?" he asked. "I told them you liked them," I said. "Would you like one?" "I already ate three," he replied "This is a particularly good one." "Cashew cookie," I said, reading the label. One hundred calories for the little sample, God knows what the full bar would be. I shrugged and ate it. Of course, you can't expect something called "Cashew Cookie" to be exactly dietetic, can you? Ross is 18. He might be eating Larabars for the next fifty years, assuming they still make them—General Mills owns the brand, started a decade ago in Colorado, surprise, surprise, by a woman named Lara, Lara Merrikan (I hope to God, if she has a daughter, she names her "Anna). To whoever is handling the marketing budget for the Chicago area: that sampling budget is money well spent, at least from our perspective. I certainly like them free. Whether I'll learn to like them bought and paid for, well, we'll see. * In the post, originally, it was at the base of CN Tower in Toronto; but my wife assures me this memory is mistaken and it was Niagara Falls. Given that's she right about most everything, she no doubt is right about this, too. I like Black Cherry myself, though the original is very refreshing. So add me to the list of Fresca admirers (one can only drink so many Coke Zeros). If Virgil’s Root Beer is an “A” – all other soda pop begin at a “C” rating. The big fight now is between over-hopped beer – preferred by hipsters/ poseurs – and Belgium style ales – such as New Belgium’s “Abbey.” If one needs an added “kick” to beer – then have the beer chase a bourbon. And between men – the fight now is scotch vs. bourbon. When I was training for the 2007 Chicago Marathon – Goose Island was giving away its “312” beer to those training with CARA. Hopefully they wanted to produce something insipid for those girls that wanted to drink a Goose Island brew. Sort of like a vodka martini or a Cosmo for those that like the glass but are not up to Bombay Sapphire. And for those that don’t drink – don’t worry about it. Be true to thine self. We eat a lot of them. Checked out the web site, can't believe the variety. They all look delicious. Sorry to spoil the party, but "whomever" is the subject of "is handling" and thus should be "whoever," no matter how counterintuitive that might be. I like Coke, but 2 sips is enough for me and then I hand the can to my wife. Fresca is just too good to be true as are Larabars, but your point is well taken. Free samples have to be the most honest advertising there could be. Fixed. I usually never use "whomever" since it isn't really necessary and half the time I use it mistakenly. But my kid is on a "whomever" jag and that was designed to be a little present to him. Though while we are pointing out error, "Sorry to spoil the party" suggests that fixing typos and mistakes is a big honkin' deal, and that's the mark of the amateur. As a writer, I do that all day long, and my biggest inspiration is to have only piddling grammatical errors as opposed to mind-snapping factual ones. Thanks for the correction. I guess you're right -- "spoil the party" was a poor choice of words for a trivial correction. "...that's the mark of the amateur." Please point them out -- I appreciate a subtle email. If you just have to score some point by doing it theatrically here, fine. But if somehow walks up to you, shouts for attention, then points dramatically at your crotch and thunders, "You're fly ... is open!!!" then bear in mind that you deserve it. What annoys me as a former English major is auto-correct constantly imagining things I never intended when I fully intend something out of the norm. I tried to record a quote in dialect from "No Country for Old Men" & had to keep a constant eye backward to re-enter what auto-correct messed up. I write e-mails on my Mac w/ attention to correctness, then get a reply from a smart-phone w/ no semblance of spelling or grammar. After fixing errors, Neil, blame it on auto-correct. Nah, that would rub up against my probity fixation. 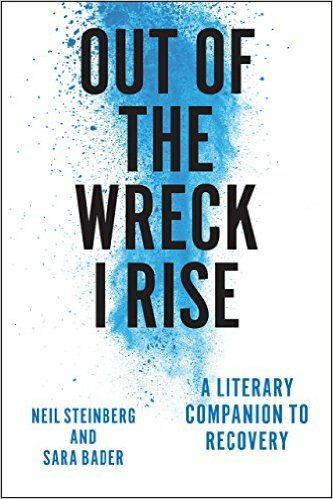 Besides, the truth is completely serviceable here: writing constantly, trying to keep the copy as clean as possible, failing occasionally, fixing it immediately, when pointed out, ideally tactfully. I can live with that. You guys will have to. "Free" - only if you free your mind! There are social psychology studies which show a big reciprocity vibe gets invoked by many people upon receiving a gift. The Coca-Cola museum in Atlanta has a place where you can sample all the various soft drinks they make worldwide - some are pretty tasty (like the lychee nut soda I believe they market in Africa). My crazy ex-girlfriend loves Fresca. Fresco has been around for a while. Its motto (circa 1970) was something like "Freezing Fresca -Don't be left out in the warm." My mom loved the stuff and never had any other soda in the house.